Wedding photographers are under tremendous pressure to capture once-in-a-lifetime moments--from the bride's preparations, to the ceremony, to the reception and the exit. They are forced to shoot in low light in every wedding--whether in poorly lit ceremony and reception venues or, later in the day, when the peak lighting has faded. This presents myriad problems and obstacles to achieving beautiful, artfully executed images of the events of the wedding day. In this book, popular photoeducator Brett Florens and contributors provide digital photo techniques and lighting solutions--from reflectors, to LED lights, to flash--that will help you ensure that no important image is lost to poor light or exposure concerns. 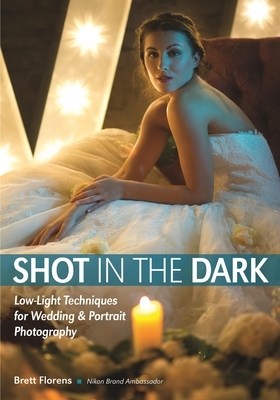 From choosing and using the best camera settings to scouting locations with interesting, workable light, to creating gorgeous artistic effects, this book provides the skills you need to get THE shot at every stage of the wedding and in any locale. Internationally acclaimed South African photographer Brett Florens launched his career in 1992 while fulfilling national service obligations in the police riot unit. Fortuitously, a photographic unit was formed to document political changes, and Brett jumped at the chance to join it. With no photographic experience, Brett had to learn how to document volatile situations. His unit evolved into a department dealing with politically motivated crimes and township violence, and photography was necessary to record this important slice of South Africa's history. Brett thrived in the role and soon found himself in the thick of newsworthy events, creating images that found a ready market in newspapers and other media. His work was being published around the world, and his passion for photography took hold. Brett's roots in photojournalism led him to a career as a highly successful wedding, commercial, and fashion photographer. His longstanding clients include Wonderbra, Playtex, Quiksilver and Roxy. He has achieved numerous accolades, including being chosen as the representative Nikon Wedding Photographer worldwide. He was also amongst twelve photographers named the best in their field at the Photokina Exhibition in Germany. Brett has had the distinction of working with some of South Africa's most famous personalities, including Bishop Desmond Tutu, FW de Klerk, Trevor Manuel, and Lance Klusener. He is the author of Brett Florens' Guide to Photographing Weddings, Modern Bridal Photography Techniques, and One Wedding (published by Amherst Media).